STUDY, WORK AND LIVE IN NEW ZEALAND. All New Zealand Universities are listed within the top 500 in the QS World University Rankings. New Zealand ranks 8th in the Global index of Cognitive Skills and Educational Attainment. It ranks 5th as the most prosperous country in the world. New Zealand is ranked 2nd as the most peaceful country in the world. New Zealand offers a world class education. It has been internationally recognised for its excellent educaton standards. Student can choose the pathway that suits him and gain the skills that will lead to success. If you complete your course successfully, you automatically get a 12 months 'Work Permit' under the student visa policy. In most instances this permit will be done at your institution itself. This allows you to work full time in any job of your choice. AUT is accredited by the New Zealand government. AUT is located in multicultural Auckland, and have nearly 4,000 international students from more than 95 countries.AUT is ranked 12th in the world for our international outlook and New Zealand's most international university*. AUT Business School is accredited by AACSB (Association to Advance Collegiate Schools of Business), which ranks it in the top 5% in the world. The University of Waikato is one of New Zealand's most modern and innovative universities. Waikato is home to more than 12,000 students from over 70 countries. All Waikato degrees are internationally recognised and have been designed to be flexible with a greater number of subjects to choose from. The University of Waikato is ranked 44th in the world for universities less than 50 years old and 44th out of the 100 "most international" universities. Massey University is an exciting and progressive New Zealand university. They offer internationally recognised research-led qualifications that are hugely relevant in today’s world. Massey has one of the largest business schools in the country and the only university-based trading room in the country. Massey has a well-established reputation for its academic leadership, research excellence and innovative teaching grounded in real-world issues. 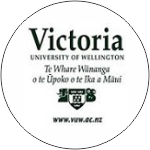 Victoria University of Wellington is New Zealand’s globally ranked capital city university, and will be one of the great global-civic universities. Victoria University is ranked New Zealand’s most research intensive university—committed to generating knowledge with social, economic and environmental impact. Victoria is committed to providing a high-quality research-led learning and teaching environment, and rewarding and celebrating excellence in all its forms. Manukau Institute of Technology is a leader in technical and vocational education, delivering a range of academic qualifications from certificate to degree level. Each year 20,000 students, including 1,000 international students, choose to study with us. *Rated best overall Institute of Technology or Polytech: Tertiary Education Commission; The performance of Tertiary Education Organisations, 2009. Unitec is home to students from more than 80 different countries. It's a friendly and diverse place where you could study anything from computing to construction. Unitec is New Zealand’s largest institute of technology, with more than 20,000 students studying over 150 work-oriented programmes. We offer leading employment-focused education at our three campuses in Mt. Albert, Waitakere and Albany. The world of education is changing and so are we. We are creating a world-class learning and teaching environment to better prepare our graduates for successful and rewarding careers. With six campuses strategically located throughout the region, we are a leading provider of high quality, vocational and professional education in the Waikato region.At Wintec you'll discover that you have the power to create your world, the way you want it. With superbly designed buildings creating a supportive environment, EIT can claim one of the most beautiful tertiary campuses in New Zealand. Bay of Plenty Polytechnic is home to almost 14,000 students, more than 1,000 staff and offers more than 240 programmes over 68 delivery sites. Bay of Plenty Polytechnic is a leading public regional institute of technology, owned and funded by the New Zealand government. For more than 30 years, students from all over the world have chosen to study in the heart of one of New Zealand’s most beautiful and productive regions; the Bay of Plenty. Waiariki’s programmes are approved by the New Zealand qualifications Authority (NZQA) and have international recognition. Each year 1,300 international students select us as their tertiary institution of choice. Because of this, we're well equipped to help you achieve your study goals and ensure your time with us is an enjoyable one. Like our students, our International Centre consists of staff from all over the globe who understand your needs better than anyone. WITT qualifications offer the best in vocational education. Our courses have a strong applied learning component which supports the theory they learn in the class room. WITT offers qualifications from certificate, through to diploma and degree level. WITT is a high quality, Government owned and guaranteed, tertiary education institute situated in the Taranaki region of New Zealand' North Island. Our qualifications are approved by the New Zealand Qualifications Authority (NZQA). Class sizes are typically small so you get to enjoy good contact time with your tutors and your class mates. At UCOL, you will be immersed in a stimulating academic environment that will provide you with an internationally recognised qualification and the skills you need to succeed wherever you work in the world. Delivering over 100 years of excellence in education, it's easy to see why international students from all around the world choose UCOL as their top choice for studying abroad. Established in 1902, UCOL is a government funded, high-performing New Zealand tertiary education institute that offers international students the chance to explore a variety of iconic kiwi landscapes and lifestyles across our four campuses in the North Island. WelTec is a public tertiary institute established and funded by the New Zealand Government. WelTec offers a broad range of approved qualifications from certificates and diplomas to degree and graduate diploma programmes. WelTec’s programmes, teaching methods, technology and industry networks combine seamlessly so that our students acquire the skills that employers demand. Whether you study Engineering or IT, Hospitality or Business or specialised subjects such as counselling or Addictions you will be well equipped with the experience, skills and contacts to hit the ground running in your chosen career pathway. Whitireia is a government owned and funded tertiary institute of technology, known for its high student success rate and culturally diverse student body. Established in 1986, on the shores of the Porirua Harbour, Whitireia has grown to become a tertiary institution of choice for over 7,752 students, who study at one of our contemporary campuses in Wellington, Porirua, Kāpiti and Auckland. Ara is one of the largest institutes of technology in New Zealand with five campuses and a choice of more than 150 qualifications including degrees and graduate diplomas.At Ara we specialise in education for employment; when you study with us you'll gain skills, knowledge and practical experience, and you'll graduate work-ready with a globally recognised qualification. Nelson Marlborough Institute of Technology is a Government Institute with campuses in Nelson, Marlborough and Auckland. NMIT is a New Zealand Qualifications Authority Category 1 (the highest) Institute. Our programmes are designed alongside industry to create work ready graduates that meet local and international job market needs. You'll find NMIT tutors care a lot about student success, and classes are small enough that they know you by name. When you come to the University of Canterbury you get to enjoy the very best a university has to offer — a world class learning environment, a vibrant campus and a great student lifestyle that's packed with opportunities. At UC you will gain hands-on experience in courses led by academics who are actively engaged in research and who are experts in their fields. Our culture promotes active learning, where our vibrant community allows you to be who you are and do what you love.Our picturesque campus with modern teaching and research facilities is set in the heart of a city that has become a magnet for growth and innovation. Further afield lies a region packed with outdoor adventure, from the mountains to the sea. 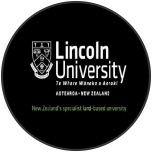 Lincoln University is New Zealand’s specialist land-based university and for more than 138 years, Lincoln has focused on improving New Zealand’s land-based knowledge, wealth and productivity.The University has a mission to help: feed the world, protect the future, and live well. Lincoln is New Zealand’s third oldest university.Lincoln is one of eight universities in New Zealand and is governed by a Council.Feed the world, protect the future, live well: they’re Lincoln University’s causes; a response to the global challenges facing the planet today.Key to all that Lincoln University does is an awareness of, and care for, the environment. We are assisting students from scratch till they settle themselves in New Zealand. We are representing all Top Universities and Colleges in New Zealand. Our Expert Guidance includes, Counselling the Right College and Right Course, Application Documentation, Forex, Travel Planning, Supplying Utility Box before students reaches the college, Accommodation and finding Local Part time Job Assistance. RD International ensures smooth Admission process by providing In house and Online Training like IELTS, PTE, GRE etc. Our Small Batch Size, Exclusive Study Materials, Experienced Faculty, Tips, Strategies and Extensive Practice Session boost the students to get 7 bands score. We have Crash course for working professionals too. 100% VISA documentation. One on one interviews and job counselling assistance. New Zealand employment skills workshops and guidance on personal presentation. Effective communication coaching, preparation of CV and cover letter support and cv floating.